IN the end, it didn’t even need a vote. After 22 tireless years of fighting for justice, the families of 96 fans killed in Britain’s worst football disaster finally got their way without a murmur of opposition. In a long-overdue debate, MPs agreed to the full release of documents relating to the Hillsborough disaster. The historic decision means the grieving relatives – many of them in the public gallery of the Commons tonight – have cleared a final obstacle in their hard and lonely struggle to find the truth. The debate was triggered when more than 139,000 people signed a government e-petition demanding uncensored publication of 40,000 papers relating to the disaster and its aftermath. But there was no need for a vote after Home Secretary Theresa May apologized for the anxiety caused to fans in the past and vowed to put everything into the open. She revealed that all documents had been handed to an independent panel set up by her predecessor Alan Johnson in the last Labour government . Mrs May told MPs: “I shall do everything in my power to ensure that the families and the public get the truth. Merseyside Labour MP Steve Rotheram, who was at the ill-fated match as a fan, took six minutes to read out the names of all 96 victims to a hushed Commons chamber. When he had finished, MPs and those in the public gallery burst into applause – rarely heard in the chamber. Pat Joynes, who lost her son Nicholas, 27, in the pre-match crush before the 1989 FA Cup semi-final between Liverpool and Nottingham Forest, was among those who travelled to the Commons to hear him. She said: “Twenty-two years is a long time to wait to find out the truth about what happened to our loved ones. Ninety-five Liverpool fans were crushed to death in caged pens in the Leppings Lane end of Sheffield Wednesday’s stadium as crowds were still arriving for the match. The 96th victim, Tony Bland, was in a coma for three years after the match and died in 1992. In the immediate aftermath, police “sources” claimed the tragedy was caused by drunken Liverpool fans whom they say arrived late for the match. 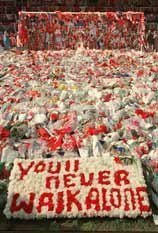 A carpet of flowers near the Kop goal at Anfield on the day after the tragedy. While the allegations were discounted at an inquiry led by Lord Justice Taylor, the slur has dogged the club for years. The long-awaited release of these documents will finally reveal the original source of these vile stories – and why they were given so much credence. It is also hoped they will disclose what the government of the day was told about the disaster and how journalists were briefed. The families, the club and their fans will never forget that awful afternoon. It is etched into the very fabric of Liverpool FC, with an eternal flame flickering outside the Shankly Gates. But perhaps the release of these papers, which is expected next year, will help them find closure. 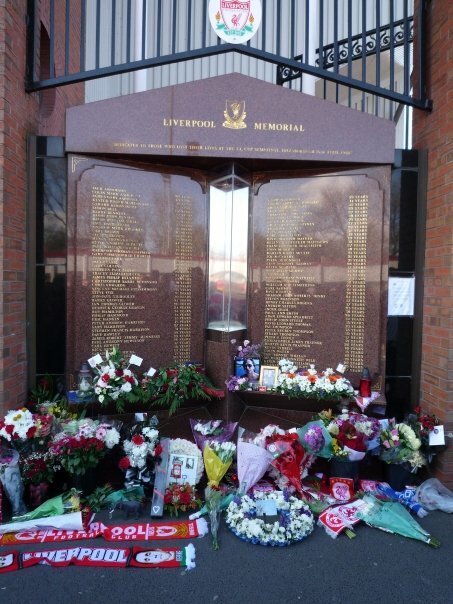 And allow the 96 to rest in peace.